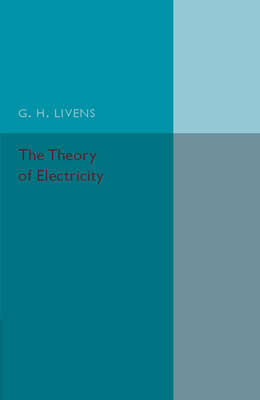 Originally published in 1926, this textbook is the second edition of a 1918 original, and provides a detailed and engaging introduction on the theory of electricity. 'As in the first edition the object has been to present a complete account of the purely theoretical side of the subject in the only form in which it appears to be satisfactory from the point of view both of mathematical consistency and of physical completeness'. Notably, particular attention has been given to the formulation of the underlying physical principles and to their translation into a mathematical theory. Tailored to suit the needs of undergraduates and presenting the facts and examples in an accessible manner, the book assumes prior knowledge of the subject and the mathematics necessary for a full understanding. Providing essential knowledge and skills for those embarking on the study of electricity, this book will be of value to scholars of physics.